EAA Chapter 932 is about people, bringing together individuals interested in learning more about aviation as well as sharing their own knowledge. Chapter members are involved in a variety of social and educational activities, including Young Eagles rallies, fly-ins, building seminars, and much more. We are a community of aviation enthusiasts that promotes and supports the love of flying. How does one describe an EAA member? That question does not have a definitive answer. 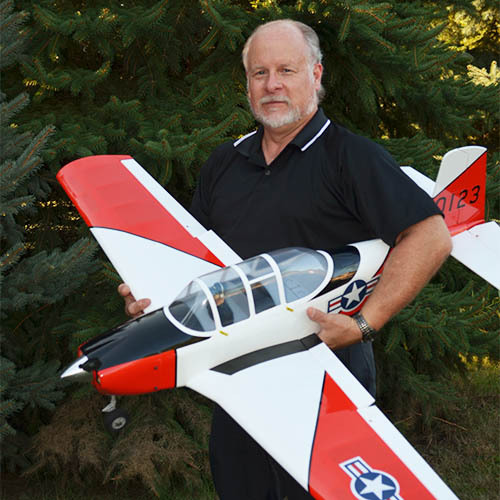 EAA members represent every aspect of aviation and often have multiple interests. We fly them. We fix them. We even build them. EAA members are folks from all walks of life. Sure, we love airplanes, but it goes beyond that. It’s about passion, camaraderie, and a grassroots way of sharing our love of aviation with others. It’s the airplanes that bring us together. It’s the people who keep us coming back. We fly them. We fix them. We even build them. 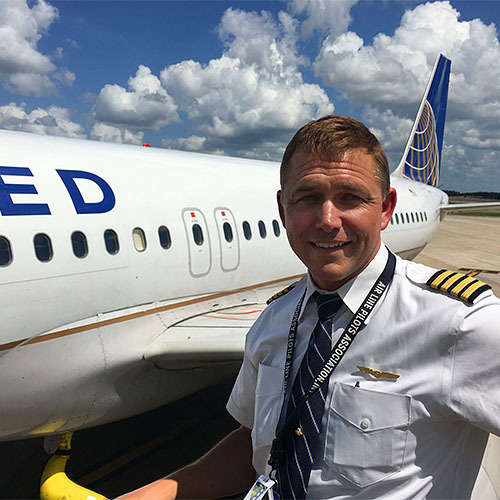 Arnie Quast is an A320 Captain at United Airlines as well as an active General Aviation Pilot at Galt Airport. He has been an avid Aviation Enthusiast & Galt Airport Bum since 2001. 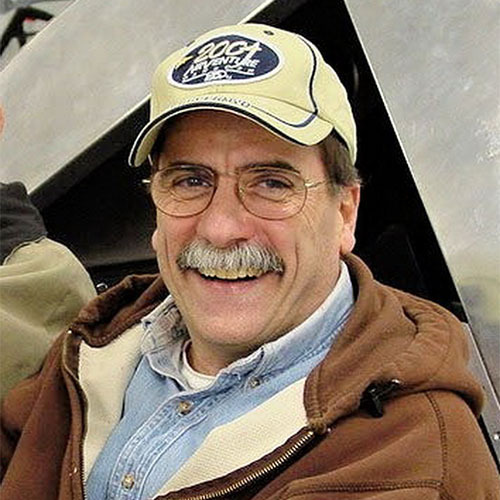 Bill has been a member of EAA Chapter 932 since 2015. 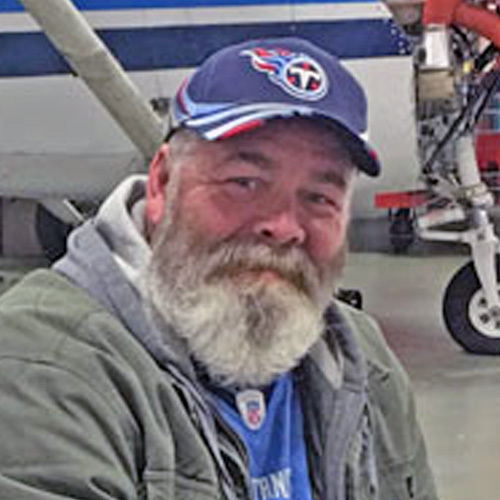 A lifelong aviation enthusiast Bill received his Private Pilot certificate in 1980 while studying Aviation Science at Park’s College. Bill is also active in building and flying radio controlled models. 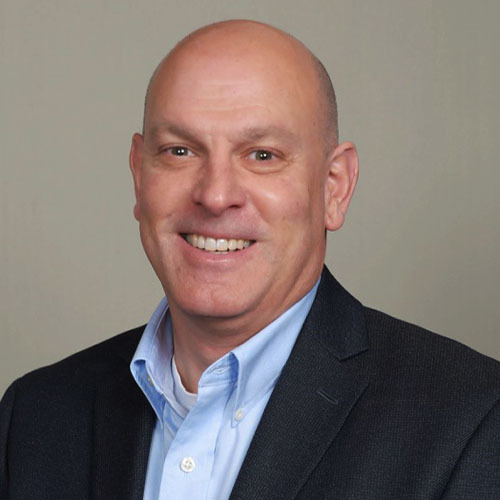 Paul is an Electrical Engineer, Homebuilder, and Welder. He likes Kitfox Taildraggers. He is also an expert on care and feeding of two-stroke engines, tube and fabric construction and electrical systems. Dave is a life long aviation geek and finally achieved his childhood dream of becoming a pilot in May 2017. 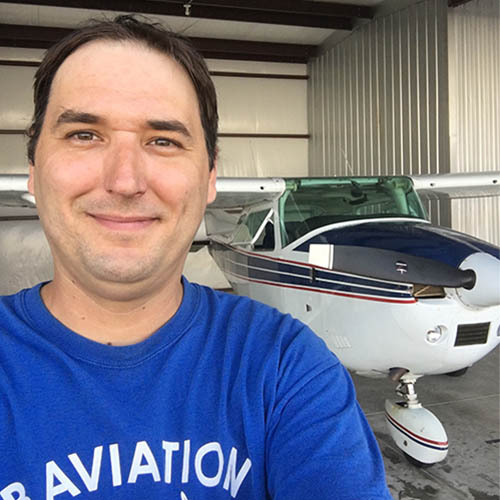 He has been volunteering at EAA 932 events since he started his flying lessons at Galt in June of 2016. Deena has been a practicing nurse anesthetist for 20 years. 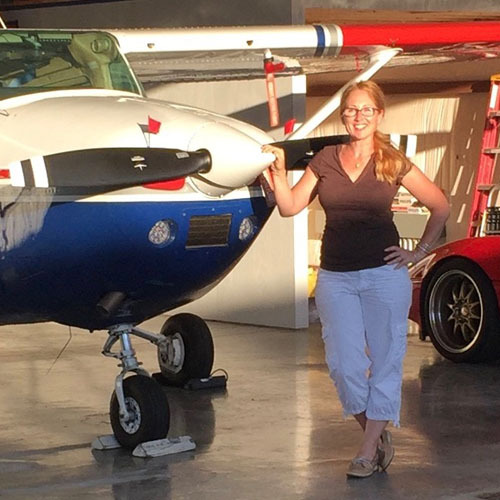 She learned to fly at Galt Airport and is passionate about sharing her love of flying and the fresh perspective it provides. Deena helps with the chapter’s social media exposure and EAA932 event outreach. 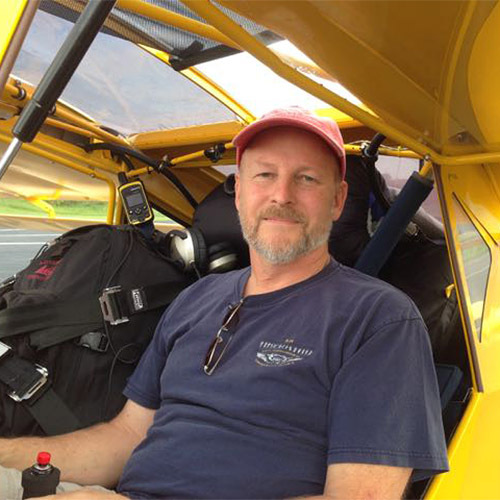 Justin is the owner of JB Aviation, manager of Galt Airport for 10 years, and member of EAA 932 for 12 years. He is also a CFII, and has logged over 2,500 hours of dual instruction at 10C. Jerry spend his career as a commercial artist, designing packaging and advertising. Now retired, he has finally resumed building the Sonex he’s been assembling for 12 years. In addition to editing our newsletter, Jerry maintains the chapter’s website. 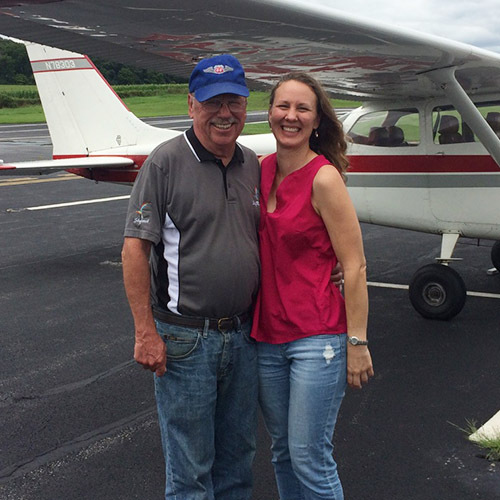 Daniella has been helping us match pilots with young passengers for a number of years. 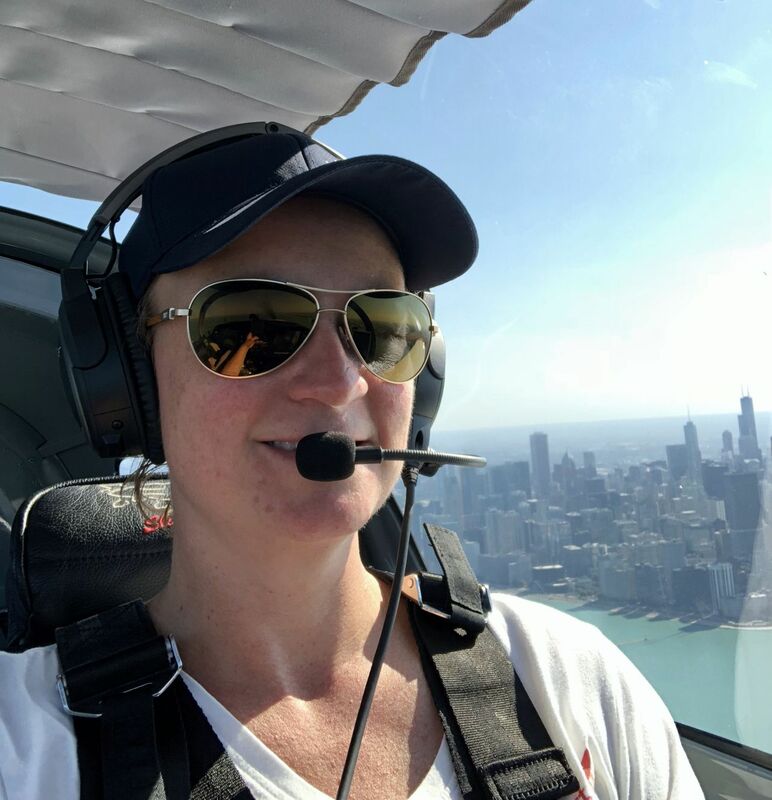 She and her husband, Jeremy, own Aerosport LLC based at Galt Airport and are the US distributors of the popular Bushcat and Sling light sport aircraft. Learn Why Galt Airport is the “The Friendliest Airport Around”. Promoting the “Spirit of Aviation” to Our Local Community. It’s All About Passion, Camaraderie, & Sharing the Love of Aviation. Come join us at one of our regular gatherings and introduce yourself. You will find that our members are open, friendly, and have a great deal of interesting things to talk about. Our gatherings usually take place the second Saturday of every month at Galt Airport in Greenwood, Illinois. Show up around 9:30 to socialize, and our gatherings typically kick off by 10am. You quickly learn that Galt Airport has been spoken of as “The Friendliest Airport Around”. The membership of EAA 932 supports this in every way imaginable! We look forward to meeting you!